BeenThere-DoneThat: The area around Pen-y-ghent, Yorkshire Dales, North Yorkshire. 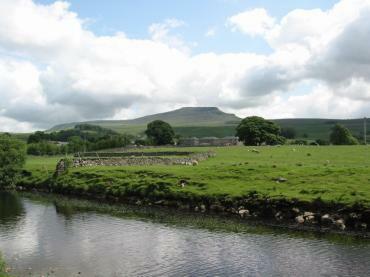 Pen-y-ghent and the River Ribble. 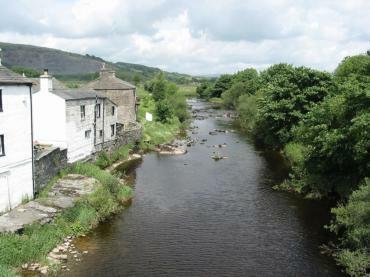 The Ribble starts life in the Yorkshire dales near Ribble Head, a little North-East of Ingleborough, and follows a meandering 70 mile course into the Irish Sea. Pen-y-ghent with its distinctive flat top is easily seen on the horizon. 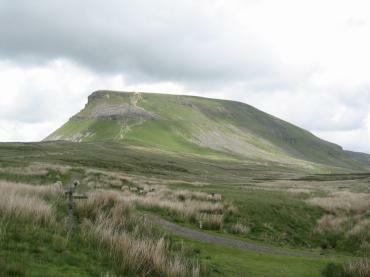 At 2273 feet high Pen-y-ghent is mostly Carboniferous Limestone capped with Millstone Grit. The limestone country around is riddled with caves and one of the most obvious is Hull Pot; a 180 feet long gash in the ground which is 60 feet deep and 60 feet across. The River Ribble from Helwith Bridge. Helwith Bridge is about halfway between Horton in Ribblesdale and Stainforth. Stainforth and the Ribble Valley. 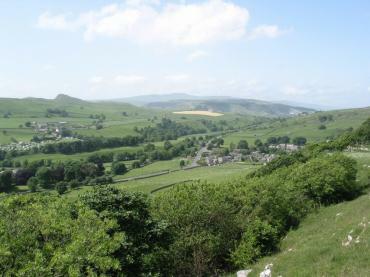 Stainforth, on the right, is a small village 2 miles north of Settle and the other obvious small group of buildings on the left is Little Stainforth. 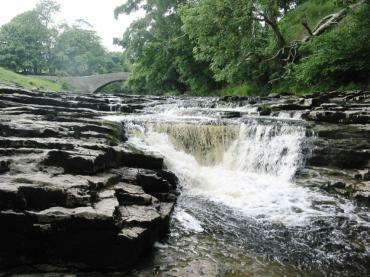 Stainforth boasts both a Youth Hostel and a waterfall - Stainforth Force. This is where the Ribble tumbles over a series of steps, in the village of Stainforth, just below the 17th Century Packhorse Bridge. A walk of about a mile will take you to another waterfall - Catrigg Foss. The Ribble Way, a 70 miles long footpath, traverses this section of the river.